Unilock fire pit round kit comes with a steel ring. Three rows high for a total height of 12". Round kit is a 36" diameter inside. The fire pit kit comes in five different colors. No cuts are needed for the block and installs in minutes! 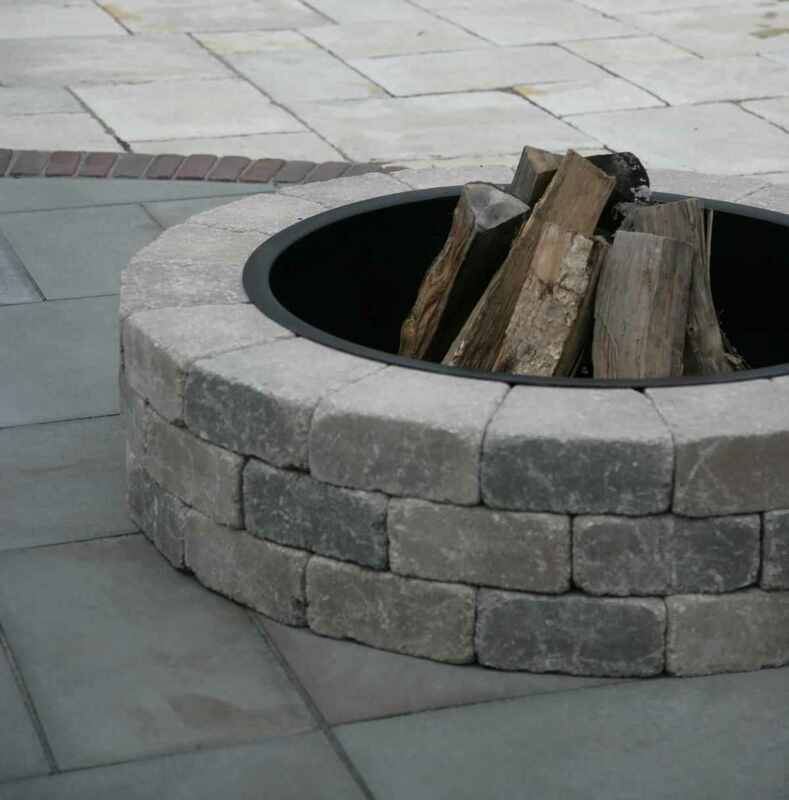 Unilock fire pit square kit comes with a steel ring. Three rows high for a total height of 12". Square fire kit is 40" size. The fire pit kit comes in five different colors. No cuts are needed for the block and installs in minutes! Unilock fire pit round large kit comes with a cap but no steel ring. Three rows high and a cap for a total height of 14 3/4". Round kit is a 48" inside diameter and 60" outside. The fire pit kit comes in five different colors. No cuts are needed for the block and installs in minutes! 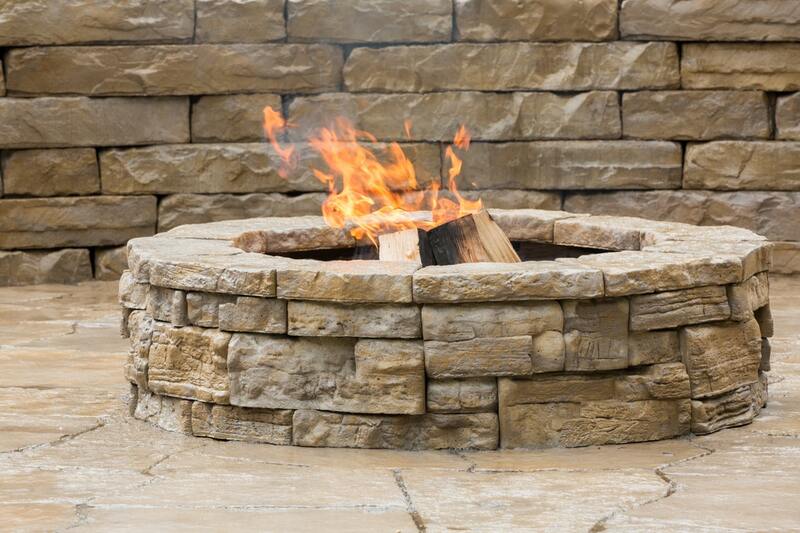 The 44-inch by 44-inch square Dimensional Fire Pit Kit provides a classic stone fire pit to match most any landscaping aesthetic. 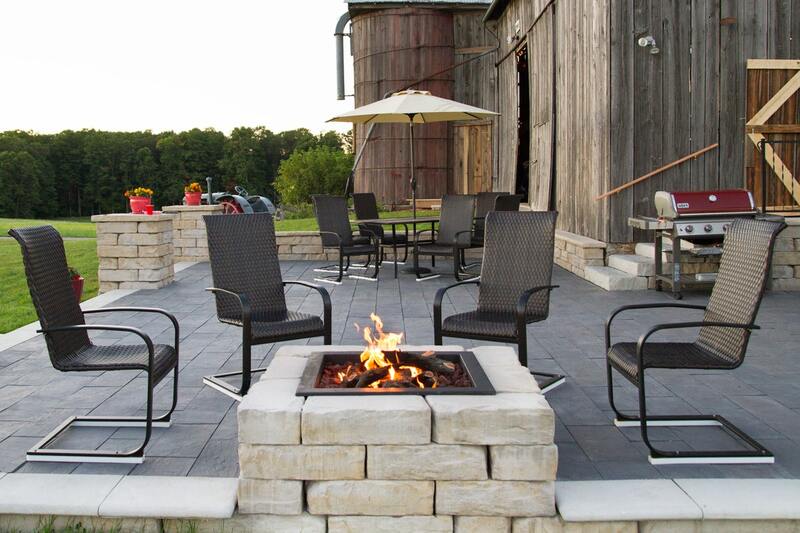 The wetcast concrete blocks look like chiseled limestone, and the steel insert keeps the fire right where you want it. With big, bold blocks that mirror snapped limestone, the Kodah Fire Pit Kit creates a modern, square fire pit that doesn't feel cold. Unlike contemporary metal designs, the wetcast concrete captures the essence of natural stone and creates the warmth you want in your backyard.